Generally cloudy. Slight chance of a rain shower. High 58F. Winds N at 15 to 25 mph..
A clear sky. Low 43F. Winds NNW at 15 to 25 mph. Higher wind gusts possible. 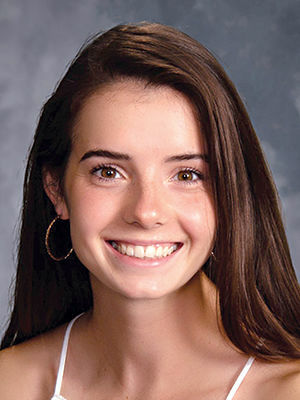 Lindbergh High School senior Amela Sijecic was honored with the Princeton University Prize for Race Relations April 5 for her work to make progress toward racial equity in the Lindbergh community. She was presented the award during an all-school assembly. Sijecic is founder and president of a program at the high school called SIDE With Us (Students Improving Diversity and Equity). As a Muslim student with immigrant parents, she has personally experienced discrimination. Her goal was to create a safe space where students can speak about harassment, discrimination, racism and social equity issues. The detailed curriculums she developed have been implemented in Lindbergh and neighboring districts. Sijecic received a cash prize of $1,000 and a weekend at the Symposium on Race at Princeton University.